Protein–protein interaction networks are mathematical constructs where every protein is represented as a node, with an edge signaling that two proteins interact. These constructs have enabled a series of graph theoretic computational methods in the analysis of how cell life works. Such methods have found diverse applications from helping create more reliable interaction data, to identifying new protein complexes and predict their functionalities, and investigating the minimum requirements for cell life through protein essentiality. Our goal with this survey is to provide an overview of the research in the area from a network analysis perspective. In this work, we provide a brief introduction to protein–protein interaction networks, followed by the methods that we currently have to obtain such interactions and the databases they can be found at. Then, we proceed to discuss the network properties of protein–protein interaction networks and how they can be exploited to identify protein complexes and functional modules, as well as help classify proteins as essential. We finish this survey with a full bibliography on work in protein–protein interactions that could be of interest to operations research and computational science academicians and practitioners. Chrysafis Vogiatzis was supported by ND EPSCoR NSF #1355466 during his tenure at North Dakota State University. The authors would like to thank the editors and the anonymous reviewers for their comments that helped improve the manuscript. Friedel, C. C., Krumsiek, J., & Zimmer, R. (2008). Bootstrapping the interactome: Unsupervised identification of protein complexes in yeast. In: Vingron, M., & Wong, L. (Eds. ), Research in computational molecular biology, RECOMB 2008. Lecture Notes in Computer Science (Vol. 4955). Springer, Berlin. https://doi.org/10.1007/978-3-540-78839-3_2. Gao G., Williams J. G., & Campbell S. L. (2004). Protein–Protein interaction analysis by nuclear magnetic resonance spectroscopy. In: Fu, H. (Ed. ), Protein–Protein interactions. Methods in molecular biology, (Vol. 261). Humana Press. https://doi.org/10.1385/1-59259-762-9:079. Isserlin, R., El-Badrawi, R. A., & Bader, G. D. (2011). The biomolecular interaction network database in PSI-MI 2.5, Database, Vol. 2011, 1 January 2011, baq037, https://doi.org/10.1093/database/baq037. 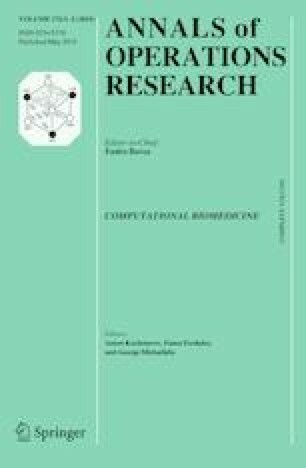 Jeong, H., Tombor, B., Albert, R., Oltvai, Z. N., & Barabási, A.-L. (2000). The large-scale organization of metabolic networks. arXiv preprint arXiv:cond-mat/0010278. Michnick, S. W., Ear, P. H., Landry, C., Malleshaiah, M. K., & Messier, V. (2011). Protein-Fragment complementation assays for large-scale analysis, functional dissection and dynamic studies of protein–protein interactions in living cells. In: Luttrell, L., & Ferguson, S. (Eds. ), Signal transduction protocols. Methods in molecular biology (Methods and protocols) (Vol. 756). Humana Press, Totowa, NJ. https://doi.org/10.1007/978-1-61779-160-4_2. Newman, M. (2016). Community detection in networks: Modularity optimization and maximum likelihood are equivalent. arXiv preprint arXiv:1606.02319. Remy, I., & Michnick, S. W. (2015). Mapping biochemical networks with protein fragment complementation assays. In: Meyerkord, C., & Fu, H. (Eds. ), Protein–Protein interactions. Methods in molecular biology (Vol. 1278). Humana Press, New York, NY. https://doi.org/10.1007/978-1-4939-2425-7_31. Spielman, D. A. & Teng, S.-H. (2008). A local clustering algorithm for massive graphs and its application to nearly-linear time graph partitioning. arXiv preprint arXiv:0809.3232. Thompson, P. M., Beck, M. R., & Campbell, S. L. (2015). Protein–protein interaction analysis by nuclear magnetic resonance spectroscopy. Methods in molecular biology (Vol. 1278, pp. 267–279). https://doi.org/10.1007/978-1-4939-2425-7_16. Vogiatzis, C. & Camur, M. C. (2017). Identification of essential proteins using induced stars in protein–protein interaction networks. arXiv preprint arXiv:1708.00574. Wuchty, S., Boltz, T., & Küçük-McGinty, H. (2017). Links between critical proteins drive the controllability of protein interaction networks. Proteomics, 17(10), https://doi.org/10.1002/pmic.201700056.